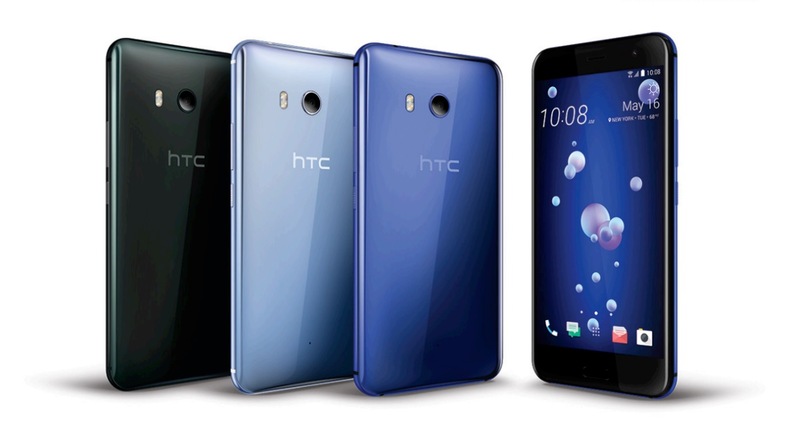 HTC has officially launched HTC U11 Smartphone in India which comes with Snapdragon 835 Processor,6GB RAM. HTC U11 feature a 5.5-inch (1440 x 2560 pixels) Quad HD Super LCD 5 display with Corning Gorilla Glass 5 protection powered by a 2.45GHz Octa-Core Qualcomm Snapdragon 835 MobilePlatform with Adreno 540 GPU with 6GB of RAM and 128GB of internal storage expandable up to 2TB with MicroSD card. HTC U11 has Edge Sensor for new squeeze interaction that lets you launch the camera, send text messages, open email or customize it to launch any application. It also lets you activate advanced touch and use a “short squeeze” as well as a “squeeze and hold” for even more functionality. It has four optimally positioned omnidirectional microphones that work together to record audio from all directions, and when shooting video with Acoustic Focus, you can visually zoom in to target your subject and amplify their specific sounds. It also comes with a USB-C to 3.5mm adapter with a built-in DAC. On Camera, it has a 12MP HTC UltraPixel 3 rear camera with a 1.4μm pixel, dual-LED flash, f/1.7 aperture and 16MP front-facing camera.HTC U11 is Water and dust resistant (IP67) Packed with a 3000mAh battery with Quick Charge 3.0. HTC U11 comes in Brilliant Black and Amazing Silver colors, is priced at Rs. 51,990 and will be available by end of June.